Homemade Ice Cream Goodness: Ice Cream Machine, Cumberland, R.I.
We have driven by many New England ice cream stands, stopped for a cone at the majority of them, and time and time again regard The Ice Cream Machine in Cumberland, R.I., as serving the best ice cream in New England. While a few other local ice cream stands have a higher profile, many Rhode Island locals and those on the Massachusetts border near Cumberland know that The Ice Cream Machine is the real deal and without marketing hype. 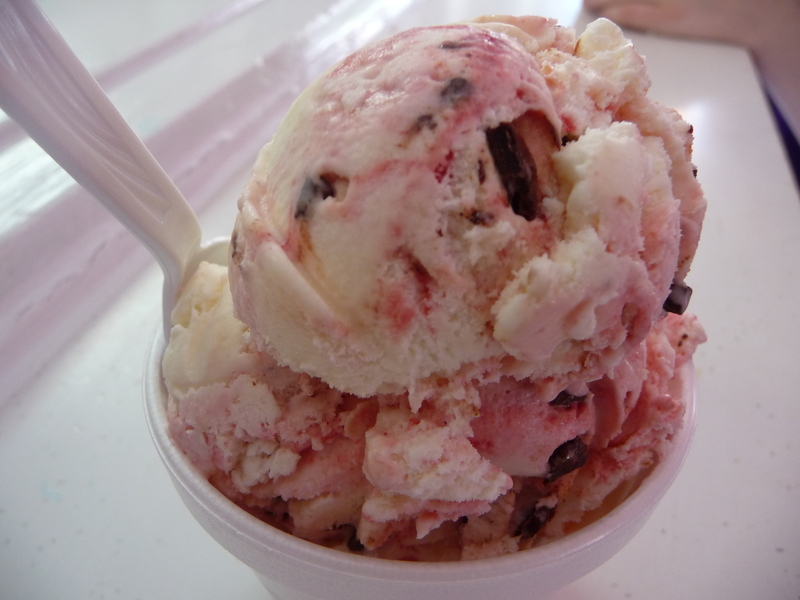 Since 1977, this classic local ice cream stand has offered a wide variety of ice cream flavors — some you would be hard-pressed to find elsewhere. The revolving door of specials are of particular note like key lime pie, blueberry, apple and pumpkin. With all the flavors we’ve sampled, the thick and creamy texture really sends this brand over the top. 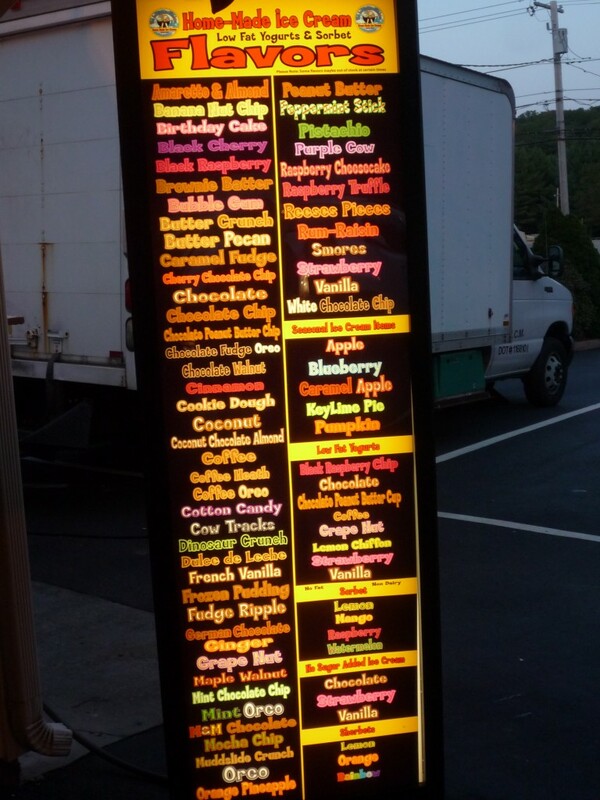 My personal favorites, in addition to the specials, are black raspberry, brownie batter, cinnamon, ginger, orange pineapple, black cherry and raspberry truffle. The classic ice cream stand look further enhances the overall experience with nice landscaping, wooden cows, picnic tables (some covered), colorful signs, and that hard-to-explain but oh-so-familiar nice nighttime lighting that seems to warm up the evening ambiance when cooling down with a cone. Unlike most other ice cream stands, the Ice Cream Machine remains open throughout the year — even during the coldest, snowiest times ) call ahead, though, for hours). 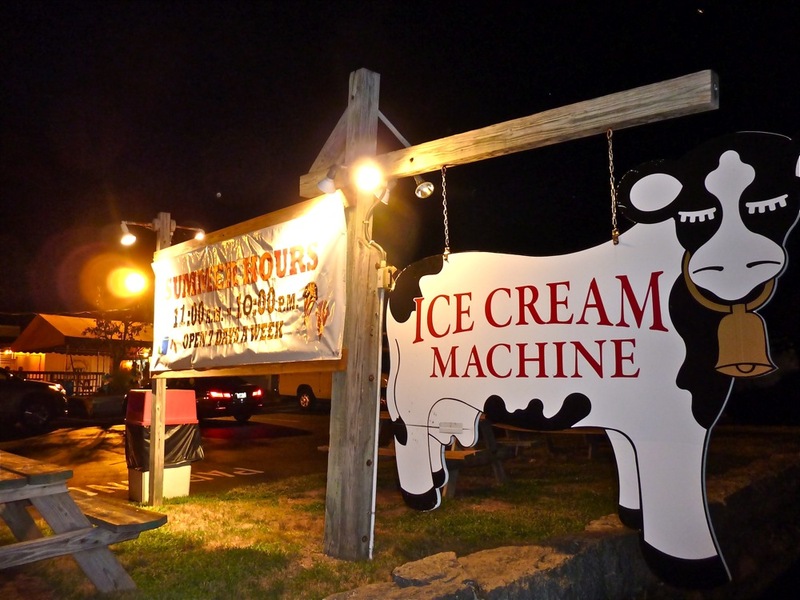 Located in a semi rural area of Cumberland near the Wrentham, Mass., border, this pleasing, unassuming ice cream stand never fails to bring in the crowds, no matter what time of the afternoon or evening business hours. It is, after all, part of the fabric of a summer in the northern Rhode Island and remote southwestern Boston suburbs. Two New England Ice Cream Spots Included in Food and Wine’s Best Ice Cream Spots in the U.S. 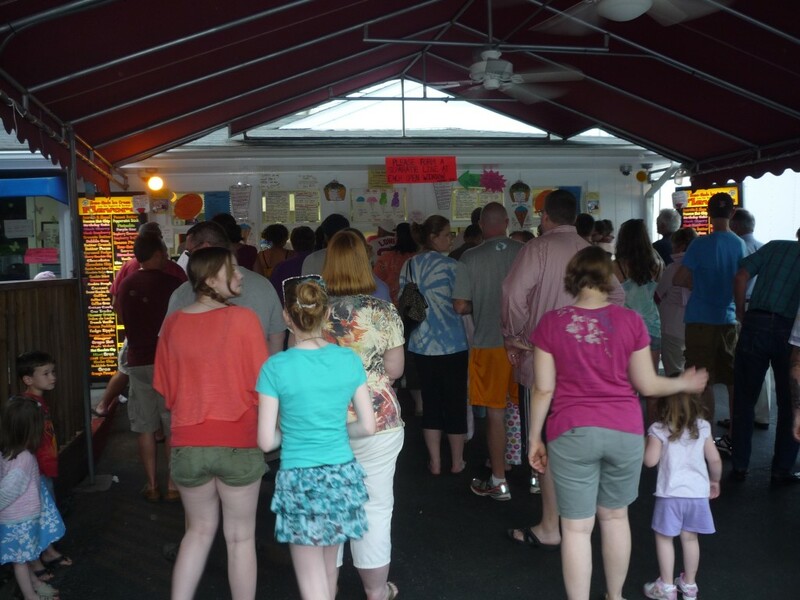 Hours of affordable fun at Richardson’s Ice Cream Stand, Middlton, Mass.